What’s the connection between Monty Python and Game of Thrones? Was Elvis Presley a Python fan? Who was the only Python to take acting lessons? If you think you know everything there is to know about Monty Python, then wait till you read “Monty Python from the Inside Out.” Python historian Kim “Howard” Johnson (author of five books on the group) delves deep into Python history, and emerges with a wide assortment of little-known facts about the legendary British comedy group that will amaze, astonish, and appall readers. “Monty Python from the Inside Out” answers such questions as: Which Python was a Broadway star decades before Monty Python’s Spamalot? Which one was a physics major in college? Whose comedy career was due to a Royal Command? Who was an international journalist? Which one served in the Army? And who wrote the worst Python sketches? And “Monty Python from the Inside Out” answers questions you didn’t even think to ask, such as: What was the most painful Python sketch to film? Which books inspired the most Python sketches? What sparked the biggest fight within the group? And learn the facts behind the Python films as well. Was “Monty Python and the Holy Grail” cursed? Who bought the world’s most expensive movie ticket? And what was the real-life inspiration for Mr. Creosote? This undersized book at an undersized price is filled with stories about the time the Pythons and the Beatles nearly teamed up, who lobbied to be a member of Monty Python, and the connection between Monty Python and Charlie Chaplin. 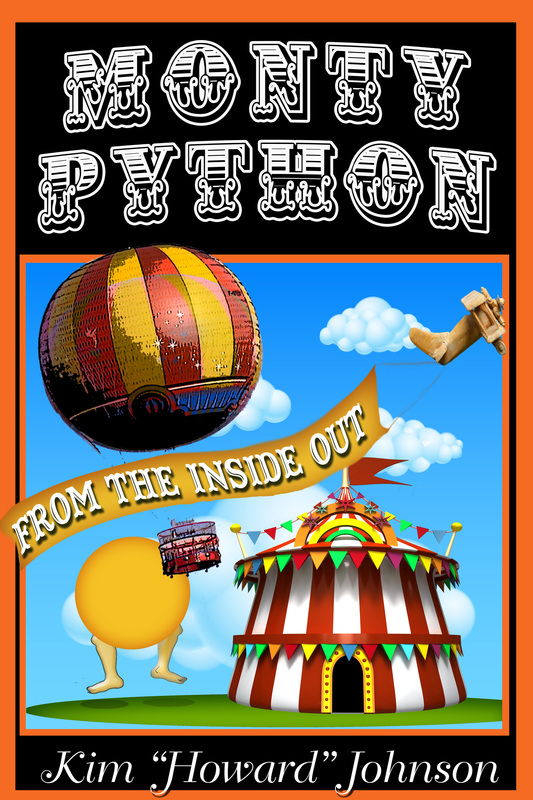 Kim “Howard” Johnson is acknowledged by the Pythons themselves as the authority on the history of the group, and as they celebrate their 45th anniversary with a farewell reunion show at London’s O2 Arena, there’s no better time to look back at lunacy, Python-style.